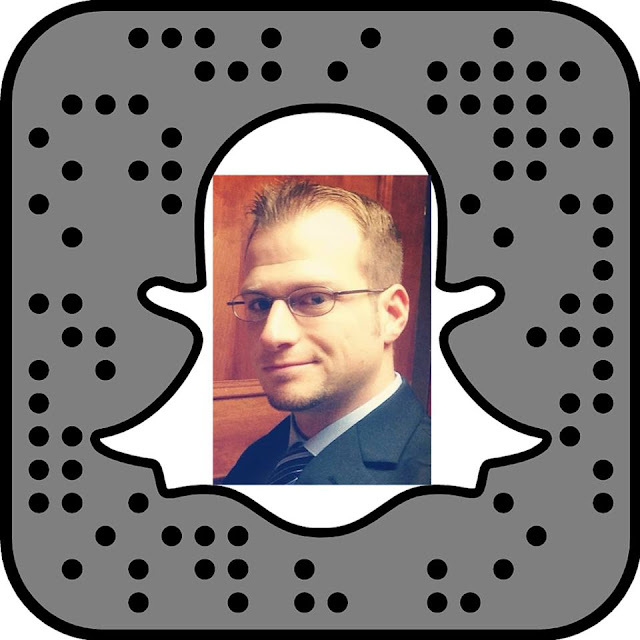 My fellow social selling specialists: Snapchat is all the rage these days. A younger generation has transitioned away from "boring" Twitter and even "old people" social media leader Facebook (now that their parents and grandparents use it daily). All of the ads on these platforms certainly haven't helped either. Snapchat, on the other hand, is simple, fun, less commercialized, and has far less text to get in your way. A picture is worth a thousand words after all... so a Snapchat video might be worth 10,000! Despite the incredible business potential available on a free platform with millions of users, chances are you aren't a Snapchat marketing superstar in 2019... yet. The importance of telling your brand's story can never be overstated. It gives you a chance to make a personal connection with your audience and tell them why your product or service is better than the other options out there. If you're an entrepreneur or solopreneur, especially a self-made business professional, then your personal and professional story is most likely also the story of your brand. Use your Snapchat pictures and videos to differentiate your business, help viewers, answer questions, or simply provide unique entertainment in 2019. Your Snapchat posts in 2019 can actually resonate better with some users than they would on Facebook or Instagram because they can't be heavily edited and refined before going live. This gives you the opportunity to be more genuine and personal which a lot of people prefer. This builds trust. Serial hustler and entrepreneur Gary Vaynerchuk does a great job on all social media platforms including Snapchat where he writes his own narrative daily and adds to the value of his businesses and personal brand. It's always crucial to know your audience. The vast majority of Snapchat users are still Millennials and their younger Generation Z (youth and teen) counterparts. While I'm certainly not saying to dumb down your posts or act immature, you still need to keep this statistic fresh in the back of your mind. Just like Pinterest has about an 85% female user base, your content should at least somewhat reflect the needs of your followers. Keep your posts simple and at least little more casual than they might be on Facebook, Twitter, or LinkedIn. There are still plenty of older users (and that number grows daily) to appeal to so if your target audience or customer is an older demographic you'll still get some value out of Snapchat in 2019. You need to connect to your smartphone contacts with your Snapchat account so right off the bat you'll see which of your contacts are already on. Connect with all of the ones that make sense along with any "Quick Add" contacts. You'll most likely need a base of followers to give your business some initial eyeballs and ideally generate some digital or word of mouth referrals for your snaps. As your contact list grows and evolves you want to make sure to continue connecting on Snapchat. You don't want your viewers and their interest in your business to disappear quicker than a Snapchat story. The goal is to create long-lasting connections both within Snapchat and outside of it. Telling your followers to visit your website, watch your new video, or check out your newest product is always a good idea but sometimes you want to be more specific. Create a verbal or written Call-To-Action for your Snapchat followers to subscribe to your blog, YouTube Channel, or email newsletters to increase the chances that your Snapchat story's views continue to pay dividends in 2019 and beyond. Other effective Snapchat CTA's for extended interaction with your followers would be for them to download your mobile app, download a free eBook, sign up for your SMS marketing service, or enter a contest or giveaway. Don't lay the sales pitches on too thick or do this too often but most people do need to use these tactics at least from time to time to drive conversions in 2019. You can increase your Snapchat following significantly by leveraging your existing networks on Facebook, Twitter, Instagram, LinkedIn, and any other social media platform. Promote your Snapchat Username so people know how to add you. You'll see this tactic often in profiles on Twitter and Instagram, sometimes along with the ghost emoji to emulate the Snapchat logo in one character. In 2019 you can also download an image of your personal Snapcode (which is best customized with your image, logo, or product in the middle) which people can then screenshot on their phones and upload it under Add Friends and Add by Snapcode to connect with you. This image makes a good profile picture or media post on other platforms to drive new followers. Another method that is also effective is to actually include the link to your Snapchat profile. You can post this link anywhere or use it as your primary profile / bio link. The URL is always www.snapchat.com/add/Username and when it is clicked by someone on a mobile device it will prompt them to open the Snapchat application and offer to connect. While featuring your content on Snapchat or creating a sponsored filter (like corporate juggernaut Taco Bell for example) can be incredibly expensive, creating a customized branded filter available in a geo-targeted location can be reasonably priced if it makes sense for your business. You could keep your costs in the double digits if you allow your custom filter to be used within a block or two using specific and accurate geo-fencing. This would be a valid option for a store opening, major sale, large event, scavenger hunt, or other creative circumstances where there will be a lot of people in a condensed space. I personally would rather purchase my advertising on other platforms but for certain companies or events it can certainly make sense and provide good brand awareness or ROI in 2019. Telling your story and building a following is all well and good but I know you really want to actually monetize your Snapchat following directly. The most direct way to do this is obviously to tell your Snapchat friends to go to your website (if it is monetized with advertisements), YouTube Channel (displaying YouTube Partner advertisements), buy your product directly through your website, or order your paid service. You could even refer them to your affiliate sales network where they get a discount code (and you get a commission) when they purchase a product through your website or with your promo code. Amazon affiliates is a simple one to get started with that doesn't require any promo codes (or discounts unfortunately) unless you have a more niche offering or specific arrangement with individual companies. Some other basic affiliate networks to check out with countless product lines are Commission Junction (CJ) and eBay Partner Network. 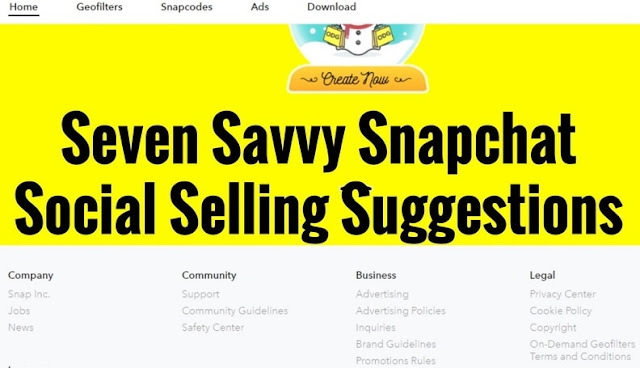 There are countless other great options in 2019 for Snapchat affiliate marketing opportunities and you could even get into network marketing. There is also always the option of getting paid directly by other companies for promoting or reviewing their products on Snapchat. These companies might want the promotion done on other platforms as well but it's always an asset to say that you have a strong and growing Snapchat network. Either way it's all about converting viewers into sales on Snapchat in 2019. The sky is the limit here but overall you just want to successfully maximize your revenue streams. This all depends on your business model and how often you want to aggressively pitch your websites and products. Doing it too often or too early can be detrimental to your bottom line so just use your best judgement, some educated trial and error, and web analytics. Keep these smart Snapchat social selling tips in mind to maximize your marketing on social media's newest favorite platform. Now get to snapping and selling in 2019 and beyond! Also read my Reddit Marketing Tips here on Bootstrap Business to compliment your Snapchat marketing strategy and further improve your social selling success. I hope you enjoyed this article about smart Snapchat social media marketing tips in 2019 to help grow your business brand. 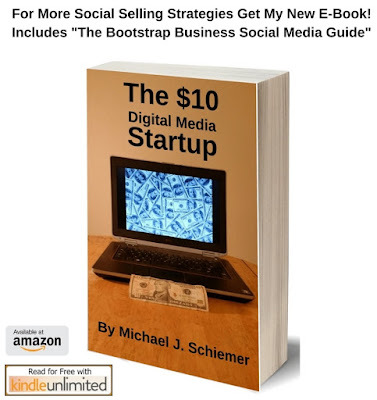 Interested in more social media marketing and selling advice?